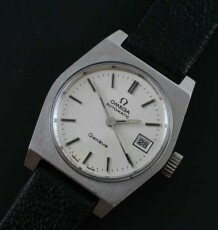 A rare pre-moon landing vintage Omega Speedmaster watch, model 145.022-69 dating to 1969 based on its model number and serial number of 29 million. 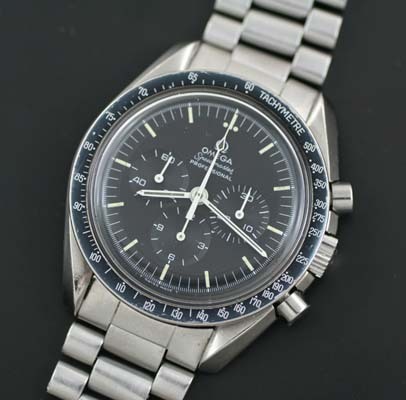 This is a very clean example of this rare and collectible model, which carries the limited edition engraving showing that the Speedmaster was indeed the first watch worn on the moon. Overall the condition can be described as crisp given the very black colour and contrast of the bezel and the light patina of the original hands against the original black dial. Many of these watches have had the dial replaced due to fading or discoloration and now have the newer Luminova luminous dials, this watch however is still fitted with the original tritium marker dial. Collectors are now paying a premium for the tritium dials when in clean condition. The engraving on the caseback replaces the usual pre-moon Seahorse logo on the back. 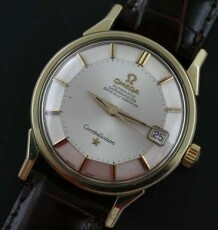 The original Omega bezel is in fantastic condition. 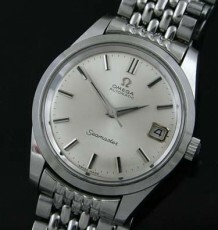 The watch is fitted with an original and genuine Omega 1171 bracelet, not the newer reproduction model. The Omega calibre 861 movement was just serviced by my watchmaker and functions flawlessly. 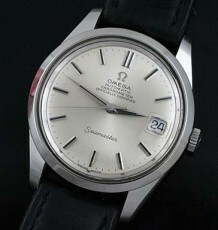 Please note the original Omega signed crown fitted to the watch. The Omega Speedmaster became a legend for being the first watch worn on the moon and is flight qualified for every NASA manned space mission since. With the latest saga of the NASA space program and the retirement of the Space Shuttle, there is additional focus on these incredible watches.